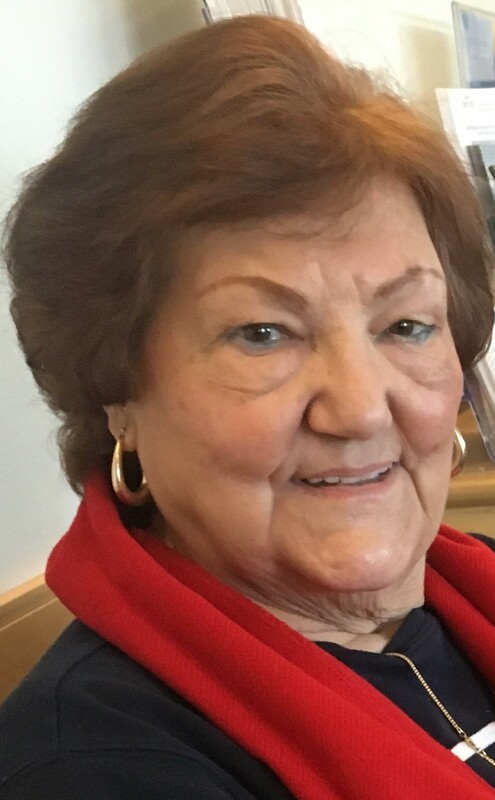 Family & friends are invited to attend Visiting Hours on Wednesday, August 15th from 5:00 p.m. to 8:00 p.m., in the Vertuccio and Smith, Home for Funerals, 773 Broadway (Route 107) Revere for Clara A. (DelMonaco) Ferri, who died, Saturday, August 11th, unexpectedly at Massachusetts General Hospital, after being stricken at her home. She was 84 years old. A funeral service will be conducted from the funeral home on Thursday. August 16th 10:00 a.m., followed by a Funeral Mass at 11:00 a.m. in St. Anthony of Padua Church, 250 Revere St. Revere. Services will conclude with entombment in Woodlawn Versailles Community Mausoleum, Everett. Clara was born in Sulmona, Italy and grew up during World War II. During her early years, she learned how to ration food, exist amongst the German soldiers, who were camped not far from her home, and watched as her family helped hide Americans within their family farm. She was known throughout her neighborhood as “la piccola ribela”- the little rebel. As a curly-haired child, she knew how to push her way through food lines to get her family of six the necessities. During her late teenage years, she corresponded through letters with her future husband, Felix, who was living in America. She married her husband, who she only knew through these letters, at the age of 19, as the marriage was prearranged. She settled in the United States with her husband in 1955. The couple was married for almost 50 years and had three boys whom she cherished dearly. She was predeceased by her dear husband in 2003. She was also “Nonni” to her three loving grandchildren. Clara loved spending her time with her family. She enjoyed sharing her cooking with her children and grandchildren, often and unexpectedly changing the ingredients thus always keeping her family on their toes. Another treasured pastime of Clara’s was going to the casino to play the slot machines and attending Monday night Bingo at Saint Anthony’s. She spent the last few years of her life battling Multiple Myeloma, visiting Mass General Hospital weekly to meet with her amazing oncology team and was greeted by name by every member of the staff with a warm smile. Even as her disease progressed, her will and stubbornness to persevere continued. Clara would occasionally make cannolis or Italian cookies to bring along to share with her friends at Mass General. She will be missed greatly by her family, friends and all who had the pleasure of knowing her. She is the wife of the late Felix C. Ferri. Devoted mother of John Ferri & wife Elizabeth H. (Tillinghast) Ferri of Rockland, Pasquale “Patsy” Ferri of Revere & Peter A. Ferri & wife Tame Dunn-Ferri of Katy, TX. Cherished grandmother of Alyssa R. Ferri of West Springfield, Jonathan M. Ferri of Rockland & Hunter Dunn-Ferri of Katy, TX. Dear sister of Maria Curini of Sulmona, Italy, Nicola DelMonaco of DelRay, FL & Sylvana A. DelMonaco of Ft. Lauderdale, FL. She is also lovingly survived by many nieces, nephews, grand-nieces & grand-nephews here & in Sulmona, Italy. Wednesday, August 15th from 5:00 p.m. to 8:00 p.m.
To the Ferri family please accept my condolences on Clara’s passing. I was a friend of Felix. May they both Rest In Peace.